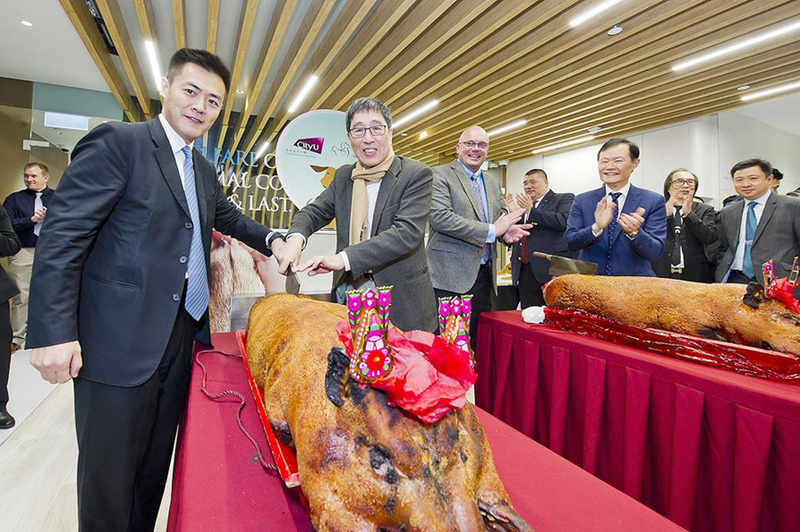 Two roast pigs stirred up quite a storm at the opening ceremony of City University of Hong Kong's veterinary school. The university's Veterinary Medical Centre, the largest such clinic in Asia, boasts a one-of-a-kind intensive care unit for animals, a cardiology suite and round-the-clock emergency services provided by emergency vets. A dead animal is the last thing pet owners want to see, but there were two at the center's opening ceremony in line with tradition to carve up roast pork for luck. But animal lovers found it ironic, with one writing: "I thought a veterinary clinic is supposed to heal and help animals, not murder and eat them." Others defended the serving of roast pig, with one remarking that "not all vets are vegetarians." The roast pigs were in fact requested by staff to celebrate the opening. And a university insider said: "Food is a product of the agriculture industry, which we support in helping raise animals safely, responsibly and with the best welfare. There is no contradiction whatsoever."